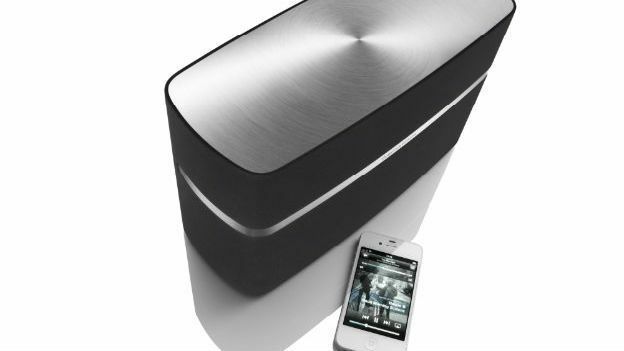 The Bowers & Wilkins A5 and A7 (£399 and £699 respectively) are the British company's first venture into wireless sound systems and will build on the success of the Zeppelin Air - a speaker dock with quite a following here at T3 Towers. The larger A7 features a 6-inch dedicated subwoofer and, because there's no dock or control panel, its about as minimalist as you can get. The A5 sports exactly the same look but with smaller dimensions - one for those who like their speakers portable. AirPlay has been winning over fans thanks to the simplicity of the set-up and the benefit of wireless streaming - particularly given that Apple has changed the connector on the iPhone 5. If you fancy getting your hands on one of these new speakers, you'll have to wait a couple of weeks: the A7 and A5 will hit stores in mid-October.